Great office tool! 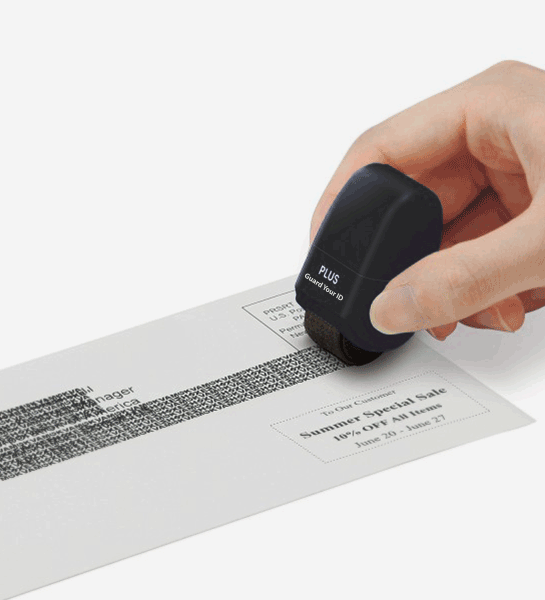 A simple and convenient alternative to a paper shredder, this blackout stamp masks long lines of text in a single application to help you keep private information private. Ideal for use on information printed on uneven surfaces such as corrugated cardboard or cylindrical mailers. 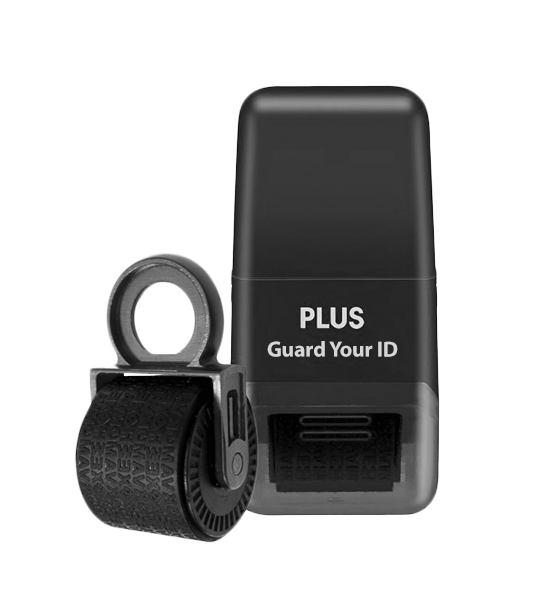 Also works great on junk mail such as credit cards offers, financial statements, or anything that has information on it that you want to keep private. The small size of the mini roller fits easily into your desk drawer, pocket or handbag. Note: Ink may not adhere to all surfaces. Not recommended for use on glossy or coated papers. Roller size: 1" X 2.5" X 1"
Includes one replacement ink cartridge.